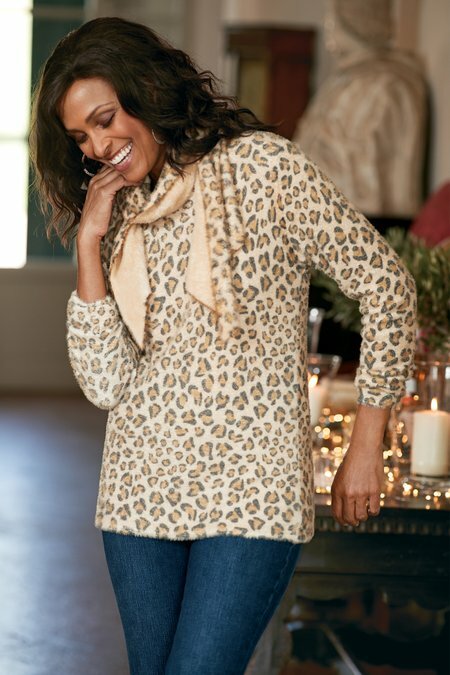 Enjoy a modern leopard print, tamed only by an indulgently-soft chenille sweater knit. Scoop-neck pullover offers double the ways to wear it: with or without the button-on scarf. Misses 26-1/2" long.